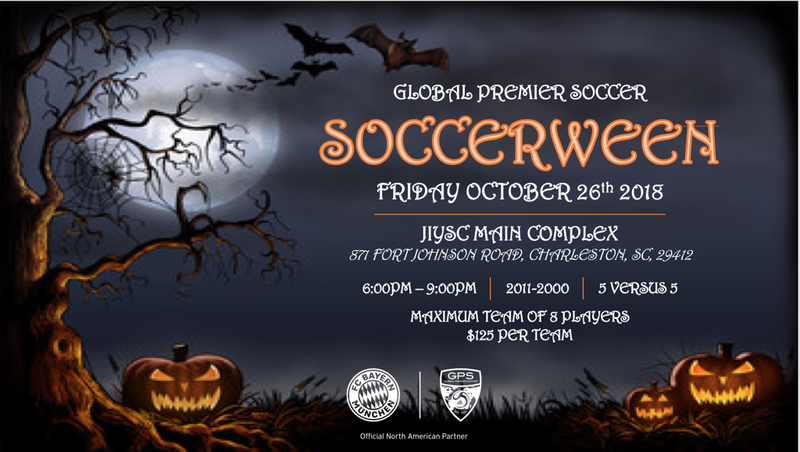 Following previous successes, the annual GPS Soccerween Tournament will be making its annual return this October at the James Island soccer complex! The Soccerween tournament will be a 5v5 format with a maximum of eight players per team. Each team will be guaranteed at least three games. This Halloween bonanza promises spooky entertainment with raffles to be won and stalls that will paint your face to scare the opposition. Don’t miss the chance to be the scariest team in Charleston, grab your costume, organize your team of friends, and compete for prizes such as best dressed! Soccerween isn’t just for the players. Parents and players can work together to design their spookiest tournament tent with a chance to win some fantastic prizes…Tent or Treat! Other: Face Painting Stalls – Best Dressed Competitions (Team, Coach & Tent) – Prizes / Raffles + Many more prizes to be won!